Reproduced with permission from the author from an article published on LinkedIn. So, when Rachel Webster was asked at the start of this event, what turned her onto science, it was satisfying to hear her say she had two clear recollections. The first was as at age eight. Something triggered in her a desire to be a scientist, so she asked her mother what she needed to do and then she never strayed from that path – to high school maths, physics and chemistry and onto University. Once at University, it was a Summer School outreach program which led her to Astronomy. This will hearten colleagues who have spent many hours in very unglamorous camping spots eating yet more bad sausages and white bread as they share their enthusiasm for their subject with impressionable newcomers. That enthusiasm is infectious and it was evident in Rachel’s four very keen, bright colleagues who joined her at this event to share knowledge of space exploration. Their equal passion for science communication guaranteed four thoughtful presentations. We know that public interest in space cuts across all demographics so astronomical discoveries are still covered in the media but with fewer science journalists, there is often a quick image and a ‘gee whiz’ statement. Rarely are new discoveries explained in the context of the larger program of work surrounding them. This event was all context, making those future news bites much more understandable for this audience at least. Katie Mack mapped out the scale of the task when searching for extraterrestrial life (SETI). With only so many telescopes which can only be pointed at some parts of our Milky Way galaxy of over 1000 billion stars, narrowing the search for exoplanets is our best bet for now as these are most likely to have environments able to support life as we know it. 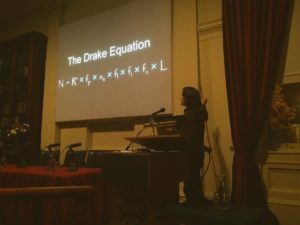 Then Katie explained the Drake equation, introduced by astronomer Frank Drake in 1961 at the first SETI scientific meeting. It is a probabilistic argument to estimate active, communicative civilisations in our galaxy where their number is the product of the average rate of star formation in our galaxy, the fraction of formed stars that have planets, of those, the average number of planets that may support life, the fraction of those planets that actually develop life, of those, which may bear life which is intelligent and civilised, the fraction of these that have developed detectable communications and the length of time such communications may have been released. The equation itself could be the content for a larger talk on the scientific method, as it is the best approach we have for now for investigating such a big ‘problem’. 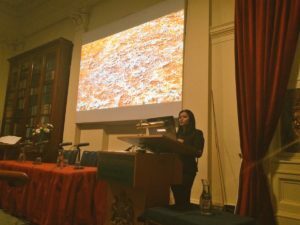 Biologist Upulie Divisekera extended the scope of the challenge: finding life in the universe may not be as straightforward as we think, and we might have to reconfigure our definition of life in doing so. Her life checklist comes from her early science studies with life defined as having signs of organisation, respiration, reproduction, metabolism, homoeostasis, movement, sensory perception and adaptation. But viruses and fungi don’t fit this definition – are they ‘life’ too? 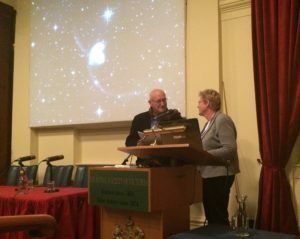 Biologists realise they need to keep an open mind in their hunt for life in outer space. After all, evolution takes a long time, so who knows what stage of evolution life is at on other planets? Some research programs are focussed on forms of life found in extreme Earth environments – hot, cold, acidic, saturated by radiation – as these are similar to what we expect to find on other worlds. Upulie Divisekera invites us to broaden the definition of life, and with it the range of habitable environments. Upulie introduced the Miller-Urey experiment. Miller and Urey were biochemists who in the 1950’s constructed an apparatus to demonstrate how several organic compounds could be formed spontaneously by mixing gases and water to simulate the Earth’s early atmosphere and oceans. Their experiments and other geological, biological, and chemical evidence, support the theory about how life-forms may have arisen spontaneously via these chemical reactions. Such explorations open our eyes to the possibilities of how life may be evolving on other planets. A/Prof Alan Duffy explains how starlight passing through planetary atmospheres reveals their chemical signatures in the light spectrum. As a theoretical physicist, Alan Duffy relies on data coming from tools such as the giant radio dishes across NASA’s Deep Space Network designed to discern radio signals which are more than just normal space noise, and input from remote probes. But as signals can only be transmitted at the speed of light, efforts are now being put into the development of smart probes, which can intelligently communicate and guide themselves on their mission, avoiding the long trip back home for interpretation and action. And what might the probe want to detect? Can we identify buckets of light which capture patterns of sunrises and sunsets indicating the presence of a planet and star, and could we then look at the chemical fingerprints of that planet and star? Is there an unusual mix of chemicals? Could the presence of Chlorofluorocarbons (CFCs) indicate industrial output from an ancient civilisation? Where we send such probes will be determined by the data being collected from the international Square Kilometre Array (SKA) project. Now the big SKA announcement makes more sense. Our minds are already full of science fiction books and films and real-life experiments such as Biosphere 2 which imagine going out into space to look for ourselves. Morgan Saletta brought us up to date with our options there. As we saw with Biosphere 2, we still don’t know how enough about complex ecosystems to know how to create a completely enclosed system to sustain human life. But new technologies such as inflatable housing and 3D printing deployed in hostile environments which can be exploited to our benefit (on icy Mars, the ice could be used to protect humans from radiation) provide new possibilities. 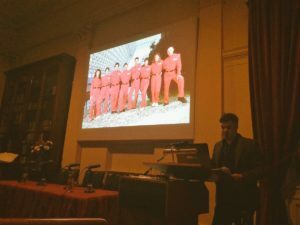 Dr Morgan Saletta reveals dire predictions of fashion in space. Once Morgan started talking about remote colonies and one-way trips to Mars, he introduced some of the social implications of all this exciting scientific work, making that a perfect time for questions. The discussion was wide-ranging: how do we avoid contaminating other worlds, what about space junk, is this just greed for resource exploitation, how are we going to detect autonomous machines from civilisations more advanced than our own? That last question got the best answer of the night when Morgan replied, “well, this has been explored thoroughly in the literature!” A typical response from a scientist, but he was seriously referring to the literature of science fiction! Several days after this event, an update on the Wow! signal was in the news. The Wow! signal is a 72 second-long astronomical anomaly recorded in 1977 whose source is still unknown. The new finding suggests clear evidence that the radio signal’s source could be a comet known to be in the vicinity of the recording in 1977. For now, it seems it wasn’t aliens trying to communicate with us, but who knows? 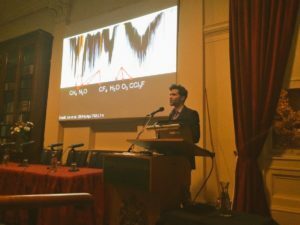 What we do know, is that those of us lucky enough to have been at this talk have a context for why this development is worthy of publication in a reputable scientific journal now. Now, all that astronomy stuff is great, but I am even more curious about what else was going in the life of eight-year-old Rachel Webster which made her become so determined that science was for her. I look forward to reading that in her memoirs if she ever gets a break from the exciting world of astrophysics to write them! The theatre seats 100 and was almost full on a chilly Melbourne winter night. There was a mix of young and old, members and non-members. 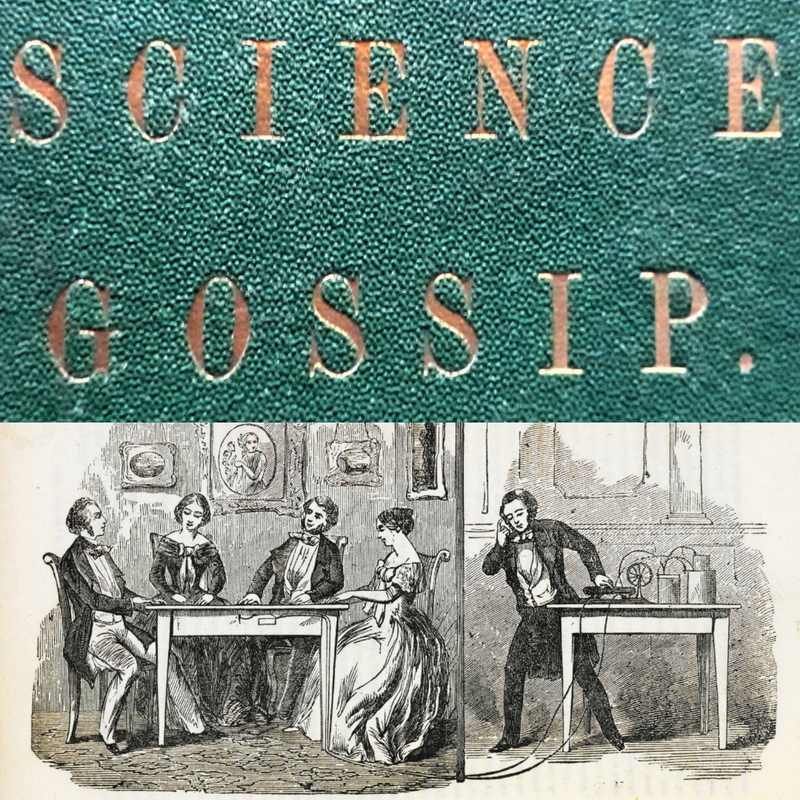 Talks at the RSV are free, and refreshments are served after each talk. There is also the option to pay $25/$20 (members) to join others for drinks and snacks from 6pm before the talk. 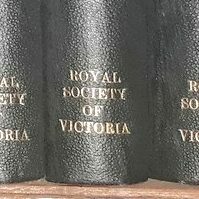 This event was listed on Eventbrite and promoted through the Royal Society of Victoria membership which currently sits at 600. It was also promoted on social media through the Australian Science Communicators’ networks. Being more pro-active on social media these days, the RSV is attracting wider audiences, which will hopefully mean more opportunities to diversify their activities. Professor Rachel Webster, Astrophysicist at the The University of Melbourne with an active interest in climate change and in particular the development of large-scale renewable energy projects. Ms Upulie Divisekera, Coordinator of @realscientists, Molecular Biologist, Faculty of Engineering, Monash University, science communicator and writer based in Melbourne. Over her research career, Upulie has worked in cancer research, developmental biology and is currently involved with nanotechnology research. She co-founded the highly successful science outreach program, Real Scientists, and communicates science through writing, performance and radio. Upulie is interested in the intersection of science and culture and works with the Wheeler Centre to bring novel science programming to Melbourne. Dr Katie Mack, Theoretical Astrophysicist, DECRA Fellow, School of Physics, The University of Melbourne whose work focuses on finding new ways to learn about the early universe and fundamental physics using astronomical observations, probing the building blocks of nature by examining the cosmos on the largest scales. 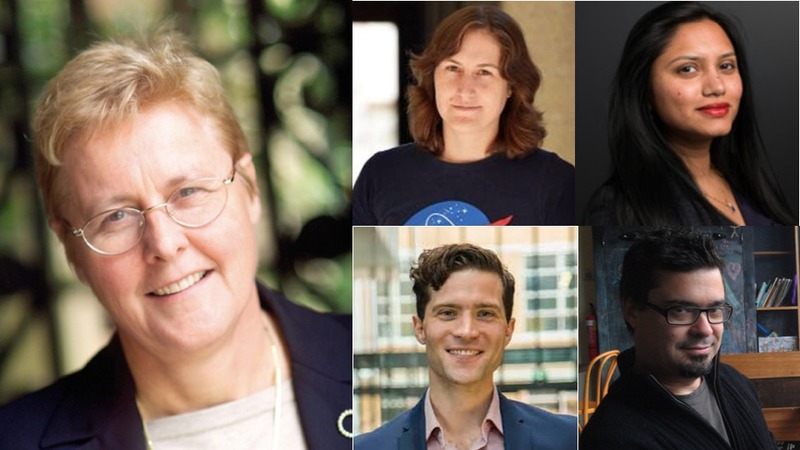 Throughout her career as a researcher at Caltech, Princeton, Cambridge, and now Melbourne University, she has studied dark matter, black holes, cosmic strings, and the formation of the first galaxies in the Universe. Katie is also an active online science communicator and is passionate about science outreach. As a science writer, she has been published by Slate, Sky & Telescope, Time.com, the Economist tech blog “Babbage”, and other popular publications. Associate Professor Alan Duffy, Science Communicator & Astrophysicist, Centre for Astrophysics & Supercomputing, Swinburne University who works on dark matter, dark energy, galaxy formation and cosmology as well as explaining science nationally on TV. 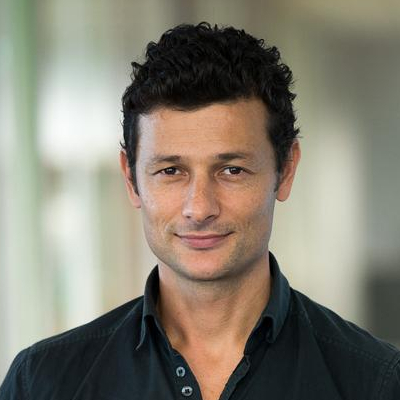 He is an experienced public speaker, science communicator and science expert in Melbourne. Dr Morgan Saletta, Anthropologist of Science & Technology, School of Historical & Philosophical Studies, The University of Melbourne, whose areas of expertise include science and technology policy, complex systems, business history and strategy, innovation and entrepreneurship. Current research interests include the commercialisation of space, new business models, energy, the circular and sharing economies and public, private and hybrid strategies for a sustainable, resilient future in the Anthropocene. He completed his PhD in Science and Technology Studies and the History and Philosophy of Science at the University of Melbourne.